An international research team led by AUT Associate Professor Dong-Xu Liu is a step closer to producing a test that would help doctors predict the best treatment course for breast cancer patients. 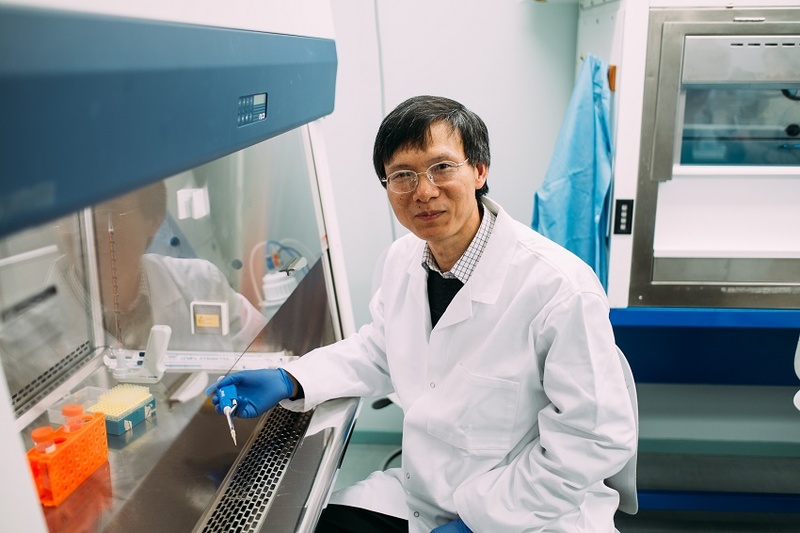 Working with collaborators in New Zealand, the UK, China and Singapore, Dr Liu has discovered a breast cancer related protein which has been demonstrated to be significantly associated with breast cancer’s response to treatment. Not only can it accurately predict whether a patient will benefit from endocrine therapy, it can also predict a patient’s response to chemotherapy before surgical removal of the tumour. The findings, if brought to market, would give doctors a reliable biomarker or tool to guide them in deciding the right course of treatment for a patient’s survival. Dr Liu received a $200,000 grant for his work from the Breast Cancer Research Partnership of the Health Research Council, Breast Cancer Cure and Breast Cancer Foundation NZ. Breast Cancer Foundation New Zealand gave two additional grants totalling $160,000. The research manuscript has been published in the British Journal of Cancer, a prestigious journal in the field. Dr Liu says, “Breast cancer is curable if treated in a timely fashion and with the correct therapy. Two thirds of breast cancer patients are treated with endocrine therapy but not all respond. Dr Liu says breast cancer affects one in nine New Zealand woman in their life time and accounts for almost half of the cancers in New Zealand women. Annually there are 2.1 million new cases of female breast cancer around the world and despite improved treatment options, it is understood that 626,000 women still die from the disease each year. It is also known that breast cancer is not a single disease, but a complex group of diseases with highly individual responses and sensitivity to treatment. Dr Liu says the next step is to apply for funding for a feasibility study before conducting a randomised control clinical trial.